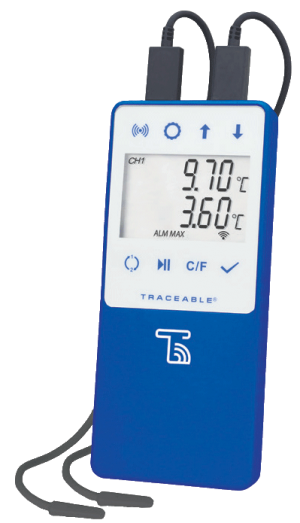 Our Traceable® High-Accuracy Thermometers provide accurate temperature readings for a refrigerator and freezer simultaneously or two refrigerator locations as well as water baths, heating blocks and incubators. 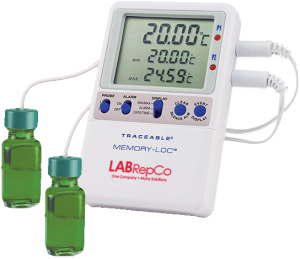 The triple digital display shows the high, low and current temperatures allowing for quick, easy reading while the MIN/MAX memory feature monitors the high and low readings at all times. 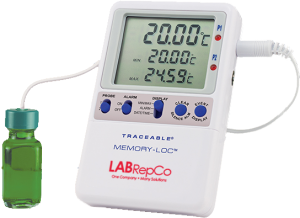 Audible and visual alarm continuously sounds when the temperature rises above or falls below a set point. 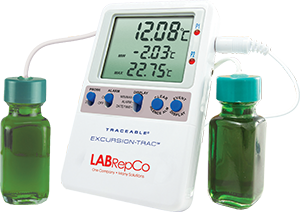 This thermometer displays the exact time and date when the min/max temperature occurred for both bottle probes. 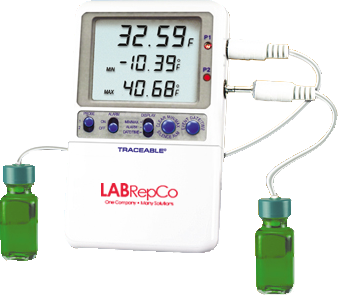 To eliminate possible mercury contamination, the probe is sealed in a miniature bottle filled with nontoxic glycol. 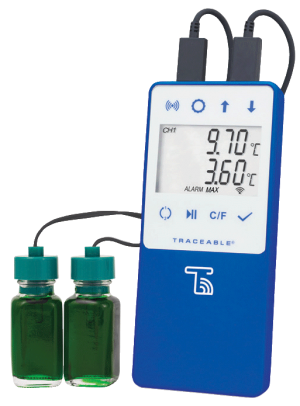 *Please Note: Each glycol bottle probe is unique to its thermometer and cannot be switched. 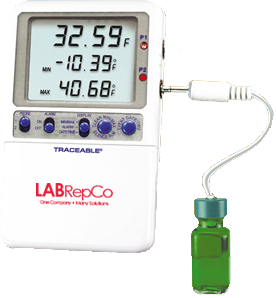 The serial number of the glycol bottle probe must match the serial number of the thermometer. Failure to do so could result in false readings. 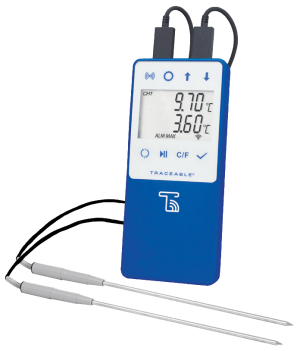 The serial numbers are located on the back of the thermometer and on the probe’s cord.